Jamie Grimm is a middle schooler on a mission: he wants to become the world's greatest standup comedian—even if he doesn't have a lot to laugh about these days. He's new in town and stuck living with his aunt, uncle, and their evil son Stevie, a bully who doesn't let Jamie's wheelchair stop him from giving Jamie a good pounding every once in awhile. But Jamie doesn't let his situation get him down. He practices his craft every day on friends, family, and the willing customers at his Uncle Frankie's diner. When Uncle Frankie mentions a contest called The Planet's Funniest Kid Comic, Jamie knows he has to enter. But are the judges only rewarding him out of pity because of his wheelchair, like Stevie suggests? Will Jamie ever share the secret of his troubled past instead of hiding behind his comedy act? 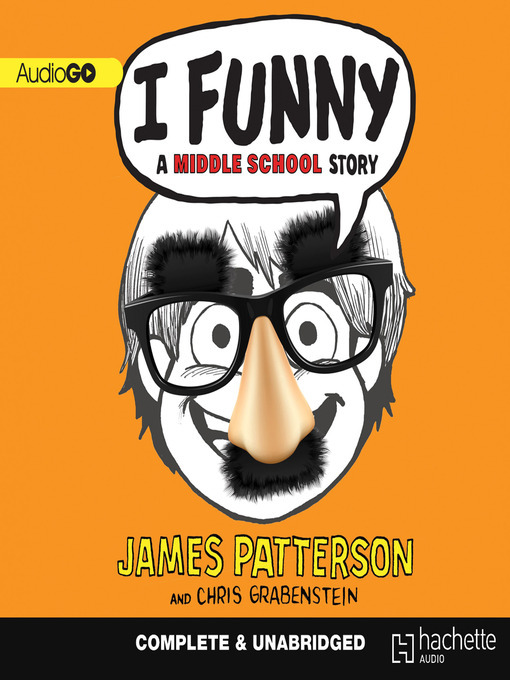 Following the bestselling success of the hilarious Middle School: The Worst Years of My Life, James Patterson continues to dish out the funnies in another highly-illustrated, heartfelt middle school story.